QR codes can be used in a variety of marketing ways to expand on your marketing dollar, ease the book ordering process for customer, preview book content, provide materials not possible “in print” with your budget, etc. To offset the flat set-up fee is might be budgeted as promotion expense, seek a patron to pay for it (underwrite or sponsor), or offer “set up rebate incentive” based on the number of orders on a given date: The more books ordered by a certain date, the bigger the rebate returned with their book. When ordering full color cards of a business or calling card size: Depending on the needs of the project, high gloss coating, available at extra charge, may be an important upgrade: Besides allowing the color layout to “pop”, this greatly improves the longevity of business cards. If you plan a virtual tour, don’t forget to market it! Just like having a book store signing, it can’t be a success if people don’t know it’s happening. Please, plan to do something different with every stop – even if it is just shifting the focus of Q&A topics (one stop, research, another history, another writing, another family, another future work, etc.). If visitors find themselves presented with the same things, they will be more hesitant to follow you. Your virtual tour can be as little as just increased interaction from a different address, at a given time. However, any tour (real or virtual) is what you make of it. 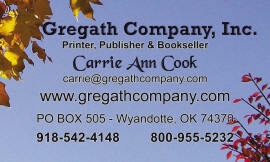 Offering special discounts, individualized signings, goodies (stickers, book marks, art postcards, etc.) and/or even drawing for a free book, are add-ons that may easily be included. Sign up at Amazon’s Author Central. Even if not selling books directly through Amazon, you can add information about you and possibly about your books that others are selling.